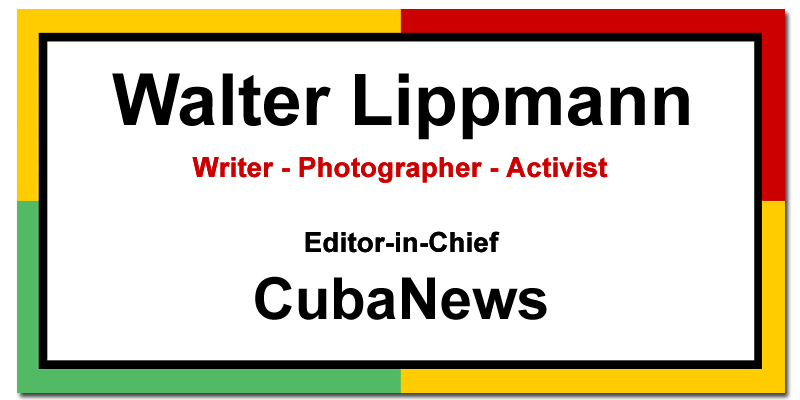 The mere fact that the U.S. blockade on Cuba has remained in place even when almost all U.N. member states vote against such policy every year is a sure sign of its impudence. However, the obscene nature of the economic war that the world’s sole superpower wages on its small, poor neighboring country lies first of all in a long string of lies that violate the foremost rule of international coexistence: interference by one state in another state’s internal affairs. Never mind that over 300 million Americans are ashamed of being taken for accessories to a siege designed to bring suffering, hunger and hardship to a nearby population thirty times smaller who defend their independence at all costs: the falseness of the arguments employed by various U.S. Administrations –using a vast media machinery financed by the taxpayers– is an affront to common sense and irrefutable proof of their contempt for the American people, whom they fooled from the outset into thinking that the “embargo” was justified as a means to put pressure on a Cuban Revolution that had seized property owned by, and paid no compensation to, major U.S. companies. Truth is, Cuba observed all international standards on the legitimate nationalization of foreign assets, whereas the U.S. government was the only one who had banned its nationals from negotiating the terms of expropriation, like investors from other nations were doing with whom a satisfactory indemnity was soon after agreed. Then they came up with the excuse of the threat the Cuban Revolution posed to the hemispheric system, on whose behalf the U.S. masterminded a collective severing of ties with Cuba embraced by all the then-members of the OAS, with the exception of Mexico. As Latin America has been able to advance steadily toward sovereignty, all its countries have reestablished relations with the island. 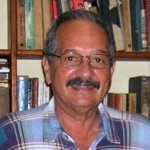 Cuba’s support for the armed struggle led by national liberation movements across the continent also served to justify the blockade, but the excuse grew obsolete as insofar as the said forces managed to make themselves heard at the polls and other democratic forums, and so our links with them translated into open, plain solidarity. Cuba’s alignment with the USSR and China was still another reason to accuse the island of violating the principles of Pan-Americanism when, in all fairness, what worried the U.S. above all else was Cuba’s status as a fully independent socialist country, its central role within the nonaligned movement and, ultimately, its great prestige and clout among the peoples and nations of the South. Totally unconcerned for the truth, the U.S. has used its remarkable financial power to orchestrate media campaigns accusing Cuba of alleged human rights violations, trying to conceal the fact that, not counting the outrages committed in the prison that the U.S. keeps in the illegally occupied territory of Guantanamo bay, the island boasts the cleanest record of respect for such rights in the last half century. Washington has tried all along to make people believe that the pressure exerted by the Miami-based right-wing Cuban American extremists is the reason why it has not voided its embarrassing policy of condemning a free nation to hunger and privation in order to pave the way for a popular uprising against the socialist revolutionary project. What’s certain is that these groups were created by the CIA, and they’re still filling their coffers with money from the federal budget to “promote democracy in Cuba”. Everybody knows that when the U.S. decides to normalize relations with a ‘hostile’ country they get rid in a jiffy of the “powerful” lobby run by those opposed to the said nation. Like Rome did, Washington has hired traitors, but it despises them. Given the undeniable evidence of the blockade’s failure, it’s the U.S.’s place to admit so and proceed to repair the offense in compliance with the principles of international law. Obviously, it has chosen instead to devise a face-saving tactics without changing its strategy. Now its discourse reads as follows: “After 47 years, the unilateral embargo on Cuba has failed to reach the goal of taking democracy to the Cuban people. The international community demands more refined and specific sanctions against unruly governments that are not so detrimental to the civilian population, because a general measure unite people around their leaders and become therefore counterproductive”. There’s every indication that the new standpoint lays the foundations for other plans and more subtle lies –with exactly the same purposes of neo-annexation– in detriment of Cuban independence and the Cubans’ right to carry on the Revolution they have been called to achieve, since 1868 to the present day, by Carlos Manuel de Céspedes, José Martí and Fidel Castro. mediático, pretendiendo ocultar que Cuba ha sido el país del hemisferio donde más fielmente se han respetado los derechos humanos en el último medio siglo, si se excluyen los desmanes en la cárcel que EEUU mantiene en la base militar de Guantánamo, en territorio ilegalmente ocupado a la Isla.